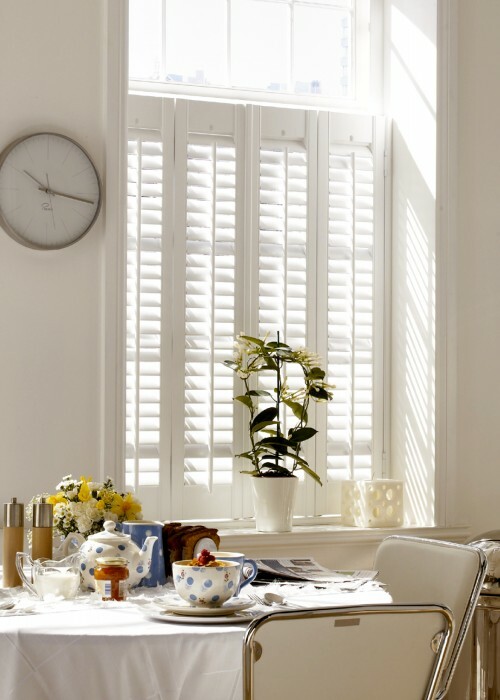 Café shutters can be seen extensively in Victorian, Georgian and Edwardian terrace properties with original box sash windows.Typically these houses have little or no front garden and high levels of traffic past the front window. Used only on the lower portion of the window, café style shutters allow maximum light whilst providing a level of privacy to your home. Café shutters afford the home owner a very stylish alternative to nets, affording terrific privacy without compromising the light in the room. These interior shutters are fitted to the bottom half of your window normally half way up or up to your window mid-rail. Tier on Tier shutters are a perfect solution where privacy is a major concern and optimum lighting is a necessity. In terms of window shutters, tier in tier shutters offer the most flexibility and privacy due to there being two sets of shutters with one frame design. Still widely used in Victorian properties that look directly onto the street, this stable door effect means that the top and bottom panels of the shutters operate independently of each other.